Wondering how to explore your own connection with the Divine? 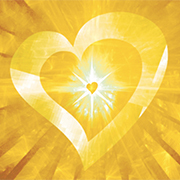 Join others seeking to bring more insight and divine love into their lives at this special celebration of the Light and Sound of God. Led by a member of the ECK clergy, each service focuses on an aspect of Eckankar and features a reading from the ECK works, an open discussion of insightful stories and spiritual principles at work in daily life, and singing HU as a contemplative exercise. The ECK Light and Sound Service is for people of all faiths who love God. May 5, 2019: What is Spiritual Freedom?